Greg / August 27, 2014 / Comments are off for this post. When any parent sends their child off to school, they are doing so trusting that their child will be safe. There are a number of concerns parents have while their kids are at school. Things like….”Are they getting the best possible education?”, “Are they making friends?”, “Are they being bullied?”, etc…. The last thing a parent should have to worry about is the quality of air in their child’s school. Poor air quality can lead to a number of allergies and/or respiratory problems. The air quality in schools can be negatively affected by what type of cleaning products they use. Cleaning products with fragrances can be particularly harmful. Luckily, there may be some things you can do as a parent to help. In this article from Green Cleaning Magazine, they give 6 tips on how to help keep your child’s classroom fragrance-free. It’s back to school season when every parent puts a focus on protecting their child’s health in the classroom. One of the often-overlooked areas, however, is the presence (and prevalence) of air-contaminating fragrances. More than 53 million children and 6 million adults in the United States spend significant amounts of time in more than 120,000 school buildings across the country. Studies have shown, however, that certain cleaning products used in the school setting, such as industrial-strength cleaning products and room deodorizers, contain chemicals identified as potential asthmagens (triggers of asthma symptoms), allergens, carcinogens, and air contaminants. In fact, about 25 percent of chemicals in school cleaning products are considered toxic—and they also contribute to poor indoor air quality. Women and girls are especially vulnerable to fragrance: with studies showing that that they are two to three times more likely to have fragrance allergies than men and boys. The good news is that schools are becoming increasingly aware that healthy and environmentally-friendly facilities foster academic achievement and staff well-being. And, as states have begun to enact air-quality policies, many more eco-friendly products have become available for school use. To date, ten states and the District of Columbia have passed legislation to advance green cleaning in schools and more eco-friendly products have become available for school use. How can you encourage your own school to limit the fragrances in your child’s environment? Here are six solid tips from Women for a Healthy Environment (WHE). 1. Encourage your school to purchase janitorial supplies with green cleaning in mind. Many manufacturers and retailers use terms such as “environmentally safe,” “green,” and “non-toxic” to boost sales. Some of these claims are valid but many are not. 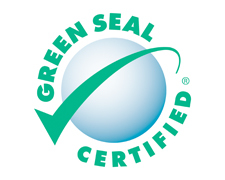 Choose products that are rated “green” by independent third-party organizations. 2. Encourage your child’s school to ask its employees to refrain from wearing scented products (especially ones where the sole purpose is to produce a scent). 3. Ask your principal to designate classrooms and other areas as non-scented/fragrance-free zones. 4. Share resources that your school may use to educate employees and parents, such as this WHE Fragrance Free Toolkit and this poster about fragrance sensitivity that can be placed around the school. 5. Discuss a fragrance-free school policy with your district. Click on the link to the resource guide above for examples of fragrance-free school policies. 6. Provide triclosan-free and fragrance-free hand sanitizers and chlorine-free and fragrance-free hand wipes to your teacher for use in the classroom. Greg / August 5, 2014 / Comments are off for this post. Nowadays, green cleaning products can be found in just about any store, right next to traditional cleaners. In fact, some stores actually have a wider selection of green products than they do for traditional cleaners. However, this wasn’t always the case. For many years, many people were unaware of the dangers traditional cleaners could cause to people and/or the environment. Therefore, they were most likely unaware of any green alternatives, as well. So, how did green cleaning go from being a niche to mainstream? That is exactly what this article from GreenBiz, discusses. A brief history of the rise of green cleaning.